WITH ALL THE lovely sunshine this weekend, many of you are probably planning on dusting off the barbecue and grilling yourselves up a delicious summer feast. We definitely don’t want to spoil that for you but before before taking that first juicy bite there are a few things to know about barbecuing safely. 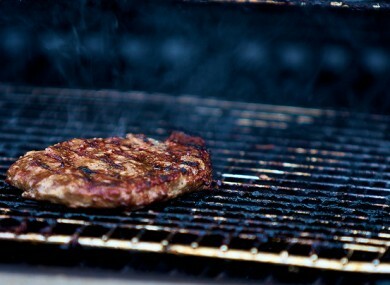 All that sizzling and flipping on the gas or charcoal grill may also be cooking up cancer-causing chemicals, experts at a cancer institute in the US have warned this week. These chemicals have been linked to breast, stomach, prostate, and colon cancer, but the Dana-Farber Institute said that there’s no need to abandon the barbecue completely, it’s just a matter of “planning ahead and making wise choices”. “What happens is that the high temperature can change the shape of the protein structure in the meat so it becomes irritating in the body and is considered a carcinogenic chemical,” explained nutritionist Stacey Kennedy. Choose lean cuts of meat, instead of high-fat varieties such as ribs and sausages. Trim all excess fat and remove skin. When using marinades – thinner is better. Thicker marinades have a tendency to ‘char’, possibly increasing exposure to carcinogenic compounds. Look for marinades that contain vinegar and/or lemon. They actually create a protective barrier around the meat. Partially cook meat and fish in a microwave for 60 to 90 seconds on high before grilling and then discard the juices. This will lower cooking time and reduce risk of cause smoke flare-ups. Flip burgers often – once every minute for meat burgers – to help prevent burning or charring. Place food at least six inches from heat source. Lean meats create less dripping and less smoke. Some good news for veggies – charred vegretables are safe to eat as they are not affected the same way as the meat protein. Kennedy told people not to panic explaining that if you’re following the proper safety tips, “the risk of getting cancer from grilling food is very low”. Hopefully we didn’t give you too much of a scare. Bon appetit! Email “Not to ruin your weekend, but your BBQ might give you cancer”. Feedback on “Not to ruin your weekend, but your BBQ might give you cancer”.